In the book Snow Crash, Neil Stephenson explores a future world that is being infected by a kind of language virus. Words and ideas have power beyond their basic physical form: they have the ability to cause people to do things. They can infect you, like a song that you just can’t get out of your head. They can make you transmit them to other people. And the book supposes a language so primal and powerful it can completely and totally take you over. Obviously that is just fiction. But communication in the biological world is complicated! It is not only about transmitting information but also about convincing them of something. Humans communicate by language and by gesture. Animals sing and hiss and hoot. Bacteria communicate by sending signaling molecules to each other. Often these signals are not just to let someone know something but also to persuade them to do something else. Buy my book, a person says; stay away from me, I’m dangerous, the rattlesnake says; come over here and help me scoop up some nutrients, a bacteria signals. And each of these organisms are made up of smaller things also communicating with each other. Animals have brains made up of neurons and glia and other meat, and these cells talk to each other. Neurons send chemicals across synapses to signal that they have gotten some information, processed it, and just so you know here is what it computed. The signals it sends aren’t always simple. They can be exciting to another neuron or inhibiting, a kind of integrating set of pluses and minuses for the other neuron to work on. But they can also be peptides and hormones that, in the right set of other neurons, will set new machinery to work, machinery that fundamentally changes how the neuron computes. In all of these scenarios, the neuron that receives the signal has some sort of receiving protein – a receptor – that is specially designed to detect those signaling molecules. This being biology, it turns out that the story is even more complicated than we thought. Neurons are cells and just like every other cell it has internal machinery that uses mRNAs to provide instructions for building the protein machinery needed to operate. If you need more of one thing, the neuron will synthesize more of the mRNA and transcribe it into new proteins. Roughly, the more mRNA you have the more of that protein – tiny little machines that live inside the cell – you will produce. This synthesis and transcription is behind much of how neurons learn. The saying goes that the neurons that fire together wire together, so that when they respond to things at the same time (such as being in one location at the same time you feel sad) they will tend to strengthen the link between them to create memories. And the physical manifestation of this is transcribing proteins for a specific receptor (say) so that now the same signal will activate more receptors and result in a stronger link. And that was pretty much the story so far. But it turns out that there is a new wrinkle to this story: neurons can directly ship mRNAs into each other in a virus-like fashion, avoiding the need for receptors altogether. There is a gene called Arc which is involved in many different pieces of the plasticity puzzle. Looking at the sequence of the gene, it turns out that there is a portion of the code that creates a virus-like structure that can encapsulate RNAs and bury through other cells’ walls. This RNA is then released into the other cell. And this mechanism works. This Arc-mediated signaling actually causes strengthening of synapses. Who would have believed this? That the building blocks for little machines are being sent directly into another cell? If classic synaptic transmission is kind of like two cells talking, this is like just stuffing someone else’s face with food or drugs. This isn’t in the standard repertoire of how we think about communication; this is more like an intentional mind-virus. There is this story in science about how the egg was traditionally perceived to be a passive receiver during fertilization. In reality, eggs are able to actively choose which sperm they accept – they have a choice! The standard way to think about neurons is somewhat passive. Yes, they can excite or inhibit the neurons they communicate with but, at the end of the day, they are passively relaying whatever information they contain. This is true not only in biological neurons but also in artificial neural networks. The neuron at the other end of the system is free to do whatever it wants with that information. Perhaps a reconceptualization is in order. Are neurons more active at persuasion than we had thought before? Not just a selfish gene but selfish information from selfish neurons? Each neuron, less interested in maintaining its own information than in maintaining – directly or homeostatically – properties of the whole network? Neurons do not simply passively transmit information: they attempt to actively guide it. There is a genetic basis to the food that we enjoy eating. Some people – which I call strange people – think cilantro has a strange, soapy taste at least partially because of a particular polymorphism in a odor receptor gene (OR6A2). The question of why we enjoy certain foods and flavors is not solely a genetic one, but also a conceptual one. Take the questions of why we like spicy food. 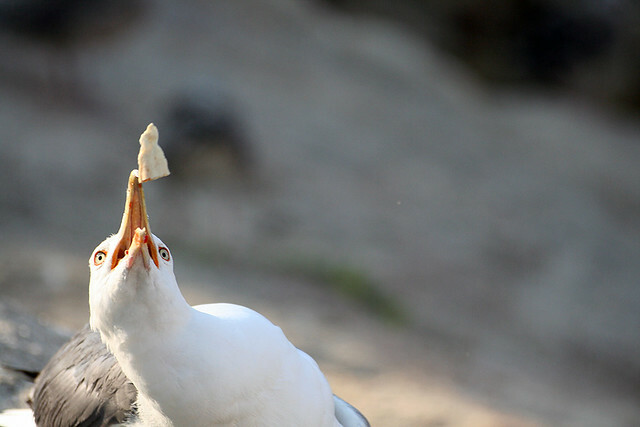 Other animals do not: they will eat spicy food but would rather prefer not to, thanks. If you ask people what the best spiciness level is, they will tell you that it is whatever is right below their pain threshold. A smidgen too much and it is unbearably hot. A smidgen too little and it is bland as they come. The molecule that gives something its spiciness is capsaicin which stimulates the same receptors that give information about the warmth of food. It is possible, then, that this is a byproduct of our adaptation to prefer cooked food. Food that has been roasted is digested more quickly and provides more calories. But knowledge of genetics can give us insight into those we do not have direct experience with. We now have genomic sequence data from one Denisovan and two Neanderthals. Do they experience food similarly to modern humans? In many ways, yes. One change that probably occurred after the invention of cooking is a reduction in certain masticatory muscles. Once you can cook, your needs to chew really really hard are reduced. And a gene responsible for this, MYH16, is expressed in chimpanzess (no fire) but not in humans (plenty of fire). It turns out that MYH16 is also not expressed in the Denisovan and Neanderthal samples. We can also look at a taste receptor, such as TAS2R38 which responds to phenylthiocarbamide (PTC). This is a flavor that, depending on your genetic makeup you either cannot taste at all, or that tastes very bitter. There is variation across populations: 98% of people indigenous to the Americas can taste it while only 42% of those indigenous to Australia and New Guinea cannot. Interestingly, chimpanzees can also taste it but they do so in a different manner. None of the Denisovan or Neanderthals had the human mutation that allowed PTC-tasting. But that shouldn’t stop them from tasting it: one of the Neanderthals had a different mutation from either humans or chimpanzees on the gene. This is convergent evolution at work, people. Even more interestingly, the AMY1 is a gene responsible for the enzyme that starts the digestion of starch. Starch is responsible for something like 70% of the calories in human agricultural population. The more copies we have of this gene, the more of the enzyme we have in our saliva. Chimpanzees have two copies: humans have around 6 or 7 of them. And these Denisovans and Neanderthals? Only two! The public will never tire of the nature versus nurture debate but here’s a hint: the answer in biology is always both. But if you’ve ever known any twins, you know they can have quite different personalities which, you would think, are attributable to differences in nurture of one sort or another. 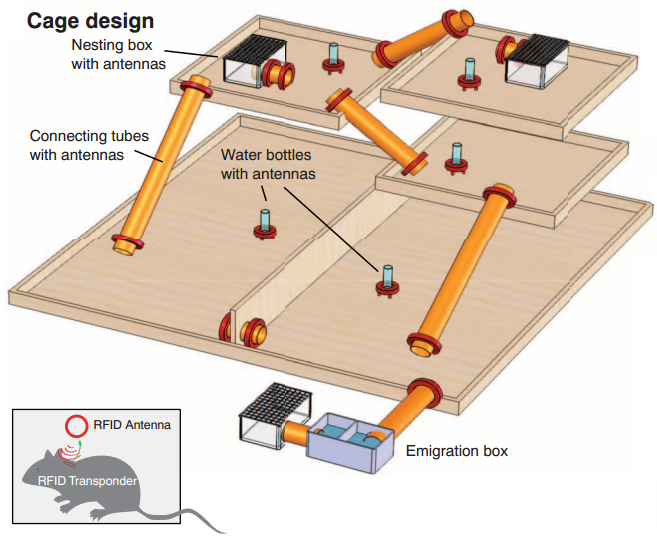 To understand this better, some scientists did what scientists like to do which is trap some mice in a little mouse palace and watched how they behaved. These mice were isogenic so there were no genetic differences (excepting, of course, what are probably trivial mutations and some hopefully minimal epigenetic influences). Now the mouse palace is a wonderful place but there’s not really a lot to do there beyond roaming about, exploring their environment. But not every mouse explores their environment in the same way: some mice like to explore the whole thing, some like to stay in just a few places where they are comfortable. This alone suggests that the environment has a strong impact on behavior, over and above genetics. But they also point to two other facts that they find: first, that over time the variance across the population in this exploratory difference increases. Second, more neurons are born in the hippocampus, the area related to spatial maps and learning, in the animals that roam more than in the animals that stay put. Now although this paper is pretty cool just for Mouse Mansion (it’s Big Brother: Mice! ), there’s a lot to quibble with. They never normalize the roaming variance by the roaming mean so we don’t really know that the variability is increasing. We don’t know whether neurogenesis is increasing more in the animals that increase their roaming more. And even if they did, it’s totally unsurprising that there would be more neurogenesis in the animals that explored more: because that’s just what we think neurogenesis is for! Remembering more locations! Further, from the first moment that they are recording from – 20 days (after birth ?) – the animals that explore the least continue to explore the least, and the animals that explore the most continue to explore the most, but everyone explores more as they get older. So whatever induced most of the variability happened before the behavior was recorded. We already know a lot about how exploratory behavior arises, and my guess is if you assayed the dopamine receptor expression level, you’d find the differences that you’re looking for to explain the behavior. My naive guess as to what explains the difference is that it is mostly social – the authors don’t really demonstrate any effects of exploratory learning. We know that mice have social structure, and social structure affects serotonin and dopamine levels which in turn affect exploratory behavior. Now I don’t know if they looked at any type of social information in the Mouse Mansion, but I’d bet that the results of social play and social behavior prior to the start of the study are what creates the difference. The fact that a few weeks of social play can change your behavior for the rest of your life? Now that would be interesting. But then, you don’t have to take my word for it. You are hungry already and dinner is hours away. You’re getting irritable and making stupid decisions that you normally wouldn’t. Or maybe you just had a big meal and you’re sated. Your friend who is seated next to you turns and asks for a favor; you pleasantly agree and sink into your chair sleepily. What’s going on? An underappreciated fact about the neuromodulatory system is that release of these molecules can have diffuse and widespread effects all across the brain. Take dopamine and leptin. Dopamine is a chemical that drives decision-making – among other things, but it really does have an important role in this – while leptin is generally thought to signal satiety. Leptin is released from the fat cells of the body and we typically think of it acting on the hypothalamus, an area responsible for many metabolic behaviors. When more leptin is circulating in the blood stream, you will eat less food and increase more energy which makes it a natural candidate for yet another failed diet pill. Since leptin interacts with motivation to eat food, an alternative set of areas it could interact with are the dopamine regions . And in those regions, in the striatum in particular, the response to food and food pictures will be reduced when there is increased leptin. It would be nice to know mechanistically how the two systems interact. One method of going about this is to activate dopamine release through a stress pathway: by keeping pain at a constant self-reported score, a robust and constant amount of dopamine will be released. Yes, for some reason people actually volunteer for these experiments. Now we can exploit the fact that there are known variants in the gene responsible for leptin, LEP. If you look at how people with these variants respond, you get large differences in dopamine release, which seems to preferentially effect the D2/3 receptors. Although different researchers seem to disagree on which specific regions of the striatum are modified by leptin, a good guess it that this is highly dependent on the task and leptin will change the amount of dopamine available to the areas. What affect might this have on behavior? One behavior that these D2/3 receptors are involved in is risky decision-making. We all have our own preferences for risky bets. Some people prefer small bets that they are guaranteed whereas others prefer the risky option (these are the compulsive gamblers). But it’s a bit more complicated than that. Sure, you’d take a risky bet when the option was between a sure 5 cents and a “risky” $1. But maybe you wouldn’t if you were guaranteed $100 with a risky option of $2000 or nothing. How sensitive you are to these bets turns out to rely on the concentration of D2/3 receptors in the dorsal striatum. Putting two and two together, we can bet that the leptin that has an effect on dopamine levels also has an effect on how willing you are to take a risk as the stakes get larger. This means that all of our body is linked, together, with the state of the world. Periods of hunger or bounty will cause people to behave in very different ways, with behavior linked to the body’s hormone signaling. Particularly prevalent here is that hormones that are generally thought of as responding purely to food may have a broader role in signaling to the body how to properly respond to all sorts of situations. WSJ: … When the great California Institute of Technology geneticist Seymour Benzer set out in the mid-1960s to find mutations in fruit flies that affected behavior, rather than mere anatomy, he was ridiculed for challenging the consensus that all behavior must be learned. Benzer told the geneticist Max Delbrück about the plan to find behavioral mutants; Delbrück said it was impossible. To which Benzer replied: “But, Max, we found the gene, we’ve already done it!” (Benzer’s mother was more succinct: “From this, you can make a living?”) He was soon able to identify mutations related to hyperexcitability, learning, homosexuality and unusual circadian rhythms, like his own: Benzer was almost wholly nocturnal. Since then, thanks to studies of human twins and a rash of genetic investigations in animals, it has become routinely accepted that most things, including personality, sexual orientation and intelligence, are to some degree affected by genes. The University of Virginia’s Eric Turkheimer has declared what he calls the “first law of behavior genetics”: that all human behavioral traits are heritable. He’s got a lot of good stuff there, read it all! If I told you that our diets were shaped by our environments, would you be surprised? If I said that what we ate was shaped by what we liked, would you be surprised by that either? I should think the answer is no to both questions. But still, thinking as a neuroscientist the question becomes: what is the neurological basis for why we like the food that we do? Why do some people enjoy cilantro and some think that it tastes of soap? There may be bigger scientific stories hiding in the data. Gasparini says that the team is seeing an emerging association in Tajikistani populations between an olfactory receptor gene and both sensitivity to bitter tastes and a tendency to mistake smells. If the finding holds up, it will be the first demonstrated genetic link between smell and taste perception, and it could help to explain how signals from different senses combine to sculpt individual food preferences.